The historic 500th Test match of India is all set to begin on 22 September at the Green Park stadium in Kanpur against New Zealand. We take a walk down memory lane as we reminisce the 5 memorable test matches involving India. India have played a whole lot of unforgettable matches, and have come a long way since their first test match played against England in 1932. Be it Virender Sehwag’s triple century, VVS Laxman and Rahul Dravid’s incredible partnership or the famous tied match against Australia, these few games which we have picked out were truly special and significant in some way or the other. 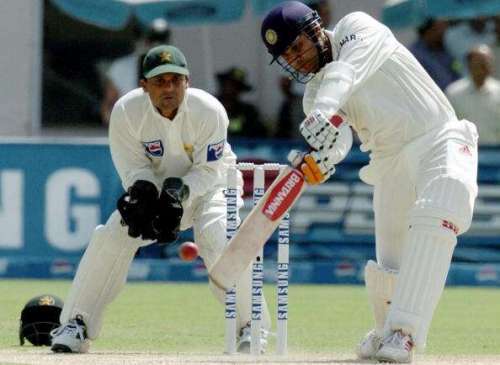 In what was a historic Test win for India on Pakistan soil after 50 years, this match was most remembered by fans for mainly two reasons – Virender Sehwag’s triple century, and Rahul Dravid’s declaration which did not allow Sachin Tendulkar to reach his double century. After a superb ODI series win against their neighbours, India came into the test series looking for their first win in 50 years, and it came easily as India went on to win the match by an innings and 57 runs. After 52 years of India-Pakistan encounters, 49 years after India first toured Pakistan, they could finally savour the sweet taste of victory away from home. Rahul Dravid was leading the side in the absence of Sourav Ganguly and he could not have asked for a better start to the series. After winning the toss, India got off to a flying start thanks to the heroics of Virender Sehwag. Along with Sachin Tendulkar, the duo set up a 336 run partnership where Sehwag scored a historic triple century. After Sehwag’s dismissal, Tendulkar along with Yuvraj Singh continued to take the attack to the Pakistani bowlers. With Sachin batting at 194, and India going strong at 675-5, Rahul Dravid surprisingly decided to declare the innings. This led to a controversy as Sachin Tendulkar saying that he wanted to be “left alone." Pakistan replied well with their batting but were nowhere near India’s standards as they were bowled out for 407 thanks to a 4 wicket haul by Irfan Pathan. After enforcing the follow-on, Pakistan had no answer to Anil Kumble’s superb bowling performance as they were bowled out for a meagre score of 216, thus leading to a comprehensive win for India. India went on to win the Test series 2-1. Result: India 675 for 5 dec (Sehwag 309, Tendulkar 194*, Yuvraj 59) beat Pakistan 407 (Hameed 91, Inzamam 77, Pathan 4-100) and 216 (Youhana 112, Kumble 6-72) by an innings and 52 runs.